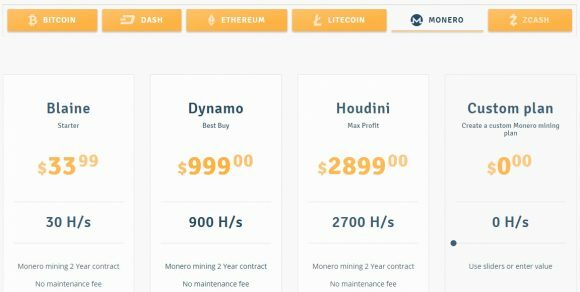 With the user interest in Monero (XMR) peaking up in the last couple of months it is no wonder that we are now starting to see cloud mining services like Genesis Mining starting to offer cloud contracts for that crypto currency as well. 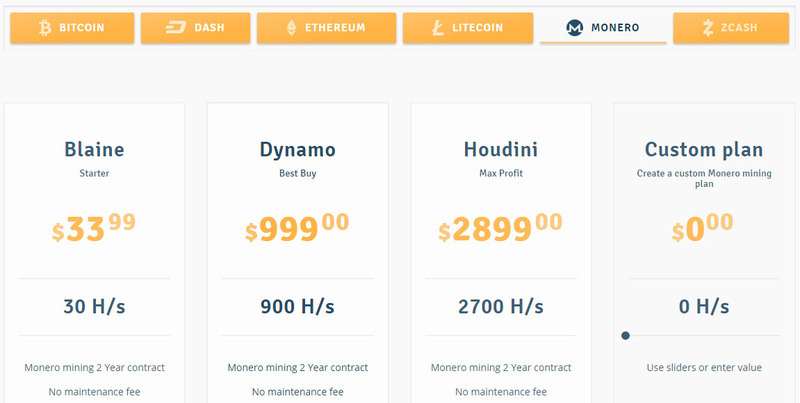 The just announced Monero (XMR) cloud mining offers using the CryptoNight algorithm start at $33.99 USD for 30 H/s, then go for $999 USD for 900 H/s and $2899 USD for 2700 H/s as well as come with an option for any custom hashrate of course. The XMR cloud mining contracts are for 2 year period of time with all costs included in the price of the hahsrate, so no need to pay any extra maintenance fees or anything else for the duration of the mining contract. You can also use our special discount code CryptoMiningBlog5 to get some extra discount and get even better price should you decide to purchase an Monero cloud mining contract from the company. As usual with cloud mining offers, do the math first and the decide should you take up an offer or not.